The symbols of the City of Tartu are the flag and the coat of arms, the examples of which are kept in the Office of the City Government. 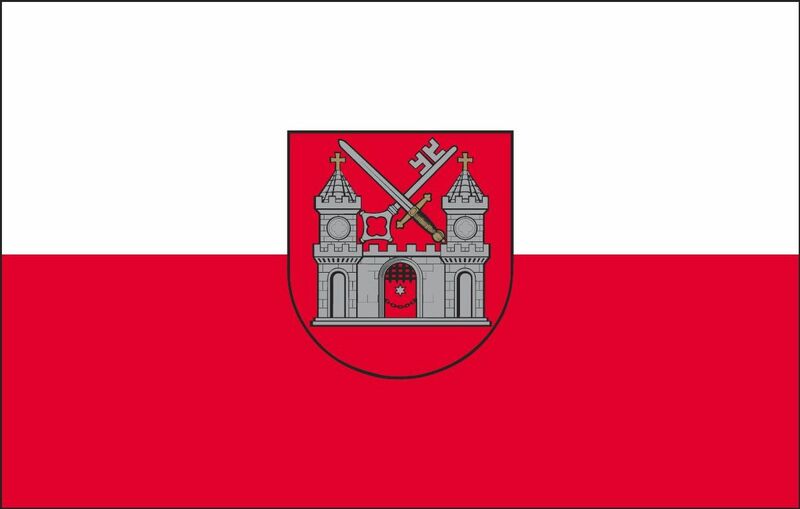 The flag of the City of Tartu was granted to the city by King Stephan Bathory of Poland with the privilege of 9th May, 1584. The flag is horizontally divided into white and red bands of equal size. The middle of the flag bears a large image of the coat of arms of the City of Tartu (the proportion of heights of the flag and the coat of arms is 1:2). 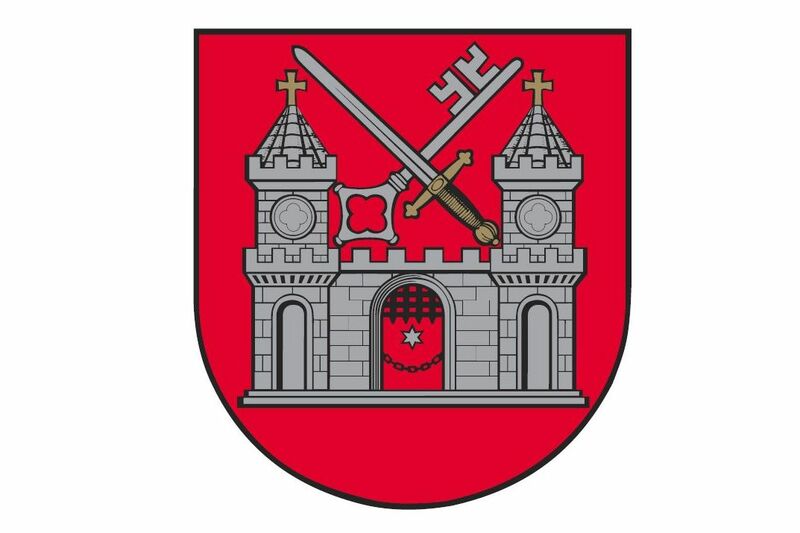 The coat of arms of the City of Tartu is a red shield with a rounded lower edge. The images on the shield include: a silver indented city wall laid of regular bricks with a gate and a tower at both ends; arched silvery niches below the towers; four-foiled ornamental motives in circles in the top sections of the towers; indented edges at the top of the towers; golden crosses at the top of the conical tiling of towers; a silver six-ray star on a red background in the arched gateway with a lifted portcullis; below the star a chain fastened to the wall by the ends; and, between the towers above the wall a suspended silver key directed from the bottom left to the upper right with the bit pointing upwards crossed by a silver sword with a golden hilt directed from the bottom right to the upper left and covering the key. The coat of arms has three forms: the regular coat of arms with a shield or without a shield, and the small form with the crossed key and sword.